Our friends at Off Center Harbor have done it again — getting us aboard a stunning Rozinante designed by L. Francis Herreshoff. But not with just any old Yank — we get to go sailing with two legendary guys who know more about Herreshoff and his designs than anyone — Roger Taylor and Maynard Bray. 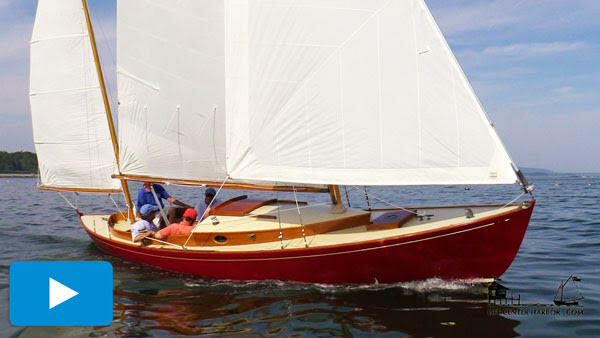 This design quickly became everyman’s dreamboat in the 1950s when Herreshoff’s book The Compleat Cruiser was first published. Her breathtaking beauty and speed spawned lust, while her cruising capabilities sparked dreams of a simpler life afloat. Click here to step aboard the gorgeous Red Head in Off Center Harbor’s new video. You can also opt in for instant access to the e-book of L.F. Herreshoff’s The Common Sense of Yacht Design.